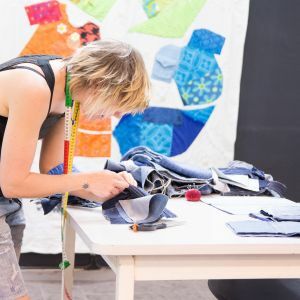 Telaketju is a cooperation network that forwards textile recycling. The project includes developing the collection, sorting out and refining processes of end-of-life textiles. Moreover, it enables the development of business models related to discussed circular economy. In Telaketju, a national ecosystem of knowledge is being advanced, building a platform for the creation of new and strong industry with multidisciplinary collaboration. 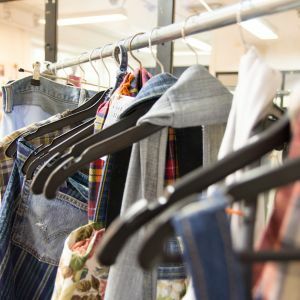 Telaketju is a continuation of Textile 2.0 pilot project in 2016 which started the end-of-life textile collection and sorting out in the Southwest Finland. The project was held by Turku University of Applied Sciences and Lounais-Suomen Jätehuolto, regional waste management company. The pilot project was an indicator for noticing that textile recycling regarding the whole life cycle is an interest of many in Finland. 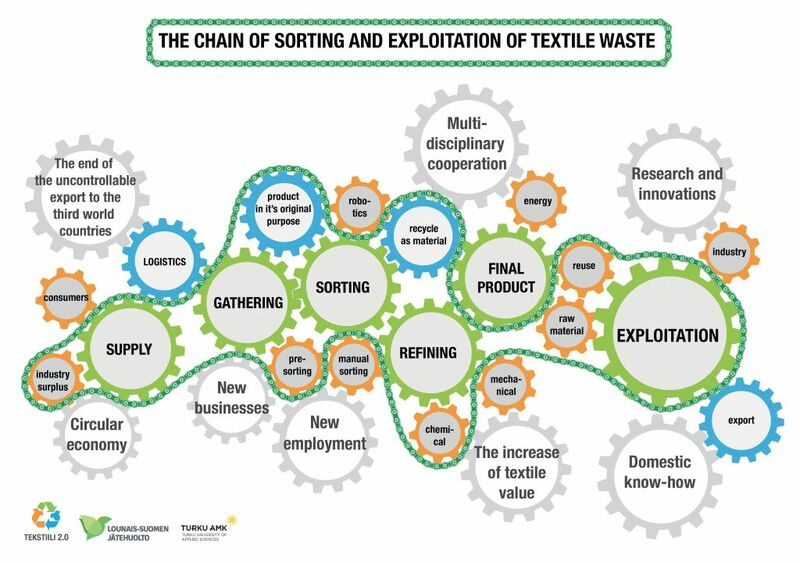 The ”Telaketju” name is short from textile recycling, sorting and utilizing network, in Finnish. The Telaketju project has received support form the Ministry of Environment and Tekes. The Ministry of Environment has agreed on giving support for the pilot project of textile collection and sorting. Some of the companies involved applied for Tekes funding in terms of process, business and product development with the help of Telaketju project. Alongside the own projects of the companies, Tekes also funds a public project that researchs the cycle of end-of-life textiles. The idea is to fund several parts of Telaketju both nationally and locally with many parallel projects. Telaketju is being coordinated by Lounais-Suomen Jätehuolto Oy and VTT. Telaketju is in whole a complex project that requires many operators. 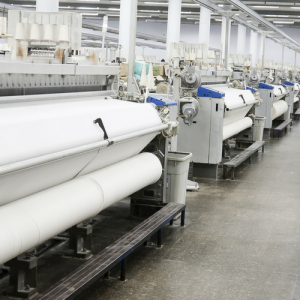 These are for example, end-of-life textile collectors, sorters, operators developing primary processing and automized sorting, companies utilizing final products, work centers arranging social work, waste centers, charity organizations and municipalities. The variety of collaboration is in such magnitude that it has been acknowledged in international circular economy networks as well.